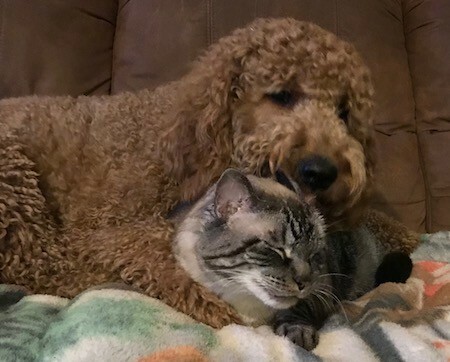 Abbey the 1 year old Goldendoodle loves her Golden Retriever sister Baily (not pictured) and her big brother Siamese cat Sid. 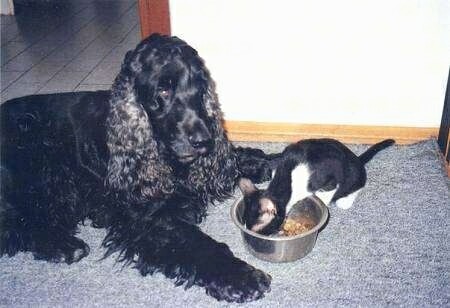 The cat is Shadow and the dog is Noel.. They are both 3 years old. 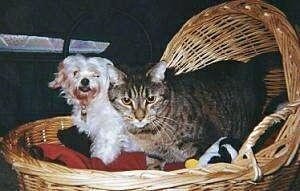 Shadow is a Blue Ribbon White Persian / alley cat mix and Noel is a Maltese. 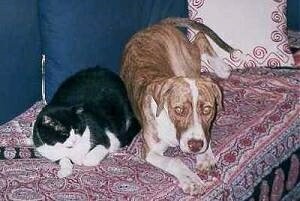 This is 6-month-old Dash, an American Staffordshire Terrier, with Pitsikokos the 5-year-old cat. 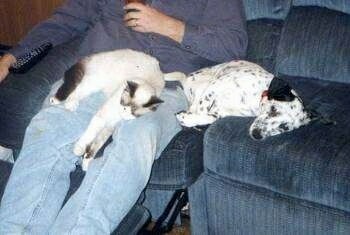 They really hate each other (look at the cat's expression), so this is a very rare moment. This comical pair resides in Athens, Greece. 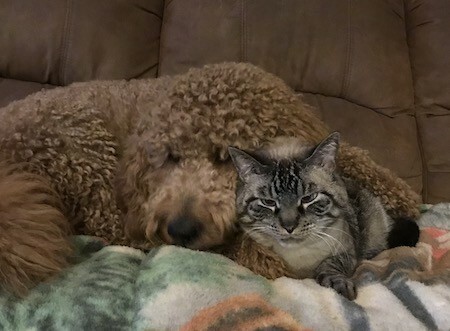 This is 10-year-old Jake with Socks the cat, who took to him as a kitten. 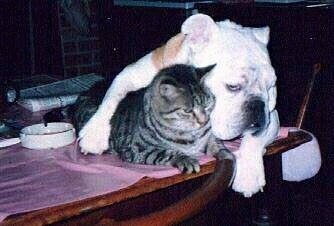 Squirt the Bulldog and his best friend Brutus the cat. For some reason Squirt loves to lie on the kitchen table. He learned how to push the chairs out and use them as a step up to the table. I came out into the kitchen one day just in time to see these two, arm-in-arm, enjoying themselves on the table. This section is dedicated to canines and their feline friends. 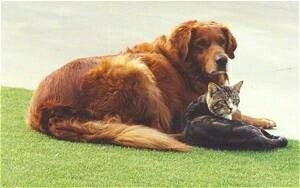 Who says dogs and cats do not get along?